Why do a lot of girls like anchor tattoos so much? I've noticed so many girls getting anchor tattoos and girls saying "omg I want an anchor tattoo sooo bad"
What's the big deal with anchors? I'm guessing it has to do with staying strong and all that but I wanna make sure. Haha what would you think if you saw a guy with a small tattoo on his wrist like in picture I showed in the question? Not an anchor though, something else but the same size. Depends on what It is.. Like If it at least means something then it's okay but if it's something everyone has it's kinda stupid. It does mean to stay strong and I think it's a nice but literally everyone thinks it's really cute to get them and infinity tattoos and what not. All the "Tumblr Girls" get them and I agree with Samantha. xD Like if you want a tattoo make it meaningful. Not just cause it's "Cute" or in style. 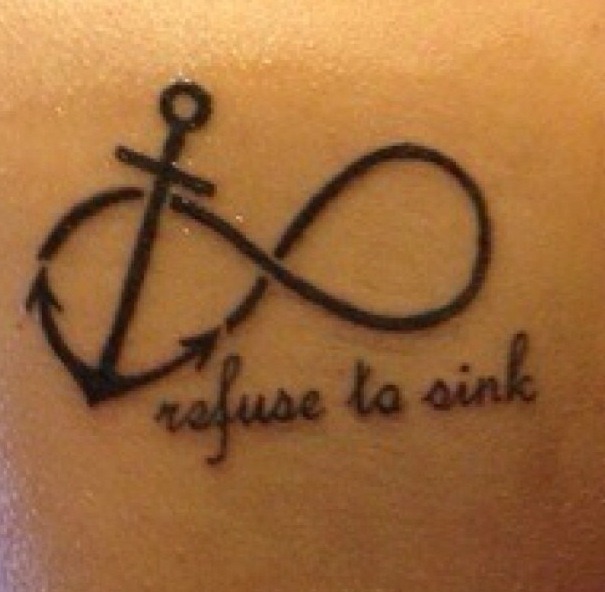 Home > Fashion & Beauty > Why do a lot of girls like anchor tattoos so much?